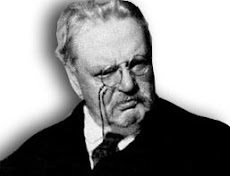 It is claimed that Chesterton and Belloc saw Distribution as necessary for the harmony and wealth of society. These, though they may be additional effects, were not the primary concerns in the distribution of wealth. It is not a question of functionality, but rather something approaching a more Christian concept of the worth of individuals. Productive property, not just property full stop, was seen as something, although not essential of course, beneficial and necessary for the proper functioning of family life. It allowed for a reasonable independence not because the family was going to produce everything it needed in life (the family unit has never been held to be a perfect society) but as a reasonable source of security. Indeed, one could say that libertarianism is the political position to be embraced, IF there had been no fall at the origin of mankind; but we, as Catholics, know better. It is not a question of nuts and bolts, but rather by which ideas and principles a community is to organized. Laissez-faire Capitalism is clear on this: the least amount of regulation on supply/demand and the profitability in a price market. These make for the best organized and wealthy society, they hold; but this can hardly be the communal vision for a Catholic. Redemption comes only through the Church, Christ's Mystical Body, and our political vision, as Catholics must also embrace a communal vision, the Common Good, not "the economic activities of free individuals." This latter idea is more suited to the individualistic notion contained in the heresy of personal inspiration found in Protestantism (and which for them is a logical political position, one could add). However, this is not a logical stand for Catholics. If we really would like to see the full results of totally "free individuals" working out their own economic activities the least encumbered by law and "economic controls," or morality, we need only look at the frequent example of African regimes. The whole debate is not one of wages and creature comforts in any case, it is about who owns productive private property. Security is an effect that should be sought in the organization of a community, but it is not the main reason for its organization. Again, if the present day wage earner has time to be with his family, and not working 14 hours a day as he did at one time, it is not due solely to the benevolence of factory owners. This family time is not the result of laissez-faire Capitalism, but of Capitalism well regulated by laws (after social unrest). Workers do not go about carefree while the benevolent paternal capitalist owner takes all as his own concern. This makes the whole enterprise a parody. The fact that many wage earners would rather receive a paycheck than wait for their own crops to yield a harvest might be true, but it is not an argument for the system. In any case, if we need remain only on the profit issue, the division is usually disproportionate. Why should one man make 5 million dollars a year and another working in the same industry be making 15 dollars an hour? If all are involved in the work why should there be such disparity? Co-operatives would be a better solution in general. Regulations and restrictions by law, or government agency, already exist (they are not perfect, original sin is present here too). Government, in the Catholic vision, is not a foreign parasite in the midst of a people to be seen as "an external organization". In fact, the governing body in a community is less of "an external body" to the people than is the employer to individual worker and his family. The first is a natural outcome in any community, but it is not at all necessary that any given man should need to employ another (though to do so is not unnatural, of course). Here again we see the individualistic vision of Protestantism. We must not forget that the Protestant heresy does hold that the Church of Christ is infallible and indefectible, but that this reality cannot be identified with any visible body of Christian men on earth. It is rather something like one of the Platonic idea of which the Renaissance was so fond: perfect in its universality but only shadowed here on earth. None of the Christian bodies can be the real Church of Christ, but the individual baptized person is personally inspired. This, translated into a communal view, which breeds distrust of "religious organizations," becomes a distrust of any "political organization." This is all very logical, but not a Catholic logic. The fact that bad people are sometimes (often?) governors, does not change the argument anymore than the historical fact of bad popes. Human society, either viewed as natural or as the ecclesial channel of grace, will always fall short of the "ideal." There is no "invisible hand" guiding economic laws, and it is illogical to believe in it while at the same time holding that political organization as such are to be disdained. While government might degenerate into a welfare state with all the citizens becoming wards, this is not the necessary outcome of the "government support". The self-reliant citizen is the man who is mature and ultimately perfected by grace. His home is not here below and he awaits a more lasting city. He therefore organizes his community in this optic and not firstly for the profit to be gained. Government is the means to this organization, not something which is necessarily inimical to it. A man's community is his home, and this is Economics in its fullest sense. Benefiting from government organization does not make men wards or any less self-reliant as such. Catholics are by definition men who recognize their dependence, first on God and then, through piety, on their communities and their families. "Rugged individualism," economic or otherwise, is simply not part of the Catholic ethos. Someone like Godefroy of Bouillon was a great leader because he recognized his part within a whole, not because he was some kind of a "Rambo" first over the walls of Jerusalem. A recognition of collaboration with other men seems much more logical than some type of world where all is "governed" by "impersonal" markets and each is an atom coming into mutual contact for profit, supply/demand and enlightened self-interest. It is difficult to see how a wage system makes the citizens any more "self-reliant" than he would be if he owned productive wealth or if he were a member of a well ordered, and governed, society. As a wage earner he is dependent on the employer, who owes him nothing more than that wage, or, if miserably intruded upon by "government," perhaps also health coverage. His future can always be a lay-off or a pink slip, of course. And as for this citizen's house, he is completely in dependence to the banking system as things are now organized. Where is this man self-reliant? Apparently, we are now going to witness the results of the whole artificially inflated housing sector which has generated so much "wealth" over these last ten years. It is not a question of buying and selling, but of amassing property which is in question. The "voluntary" aspect lauded in the middle paragraph is again questionable. There are other "forces" involved in societal transactions other than "physical." The absence of physical force does not mean that a man is fully free or acting voluntarily. The argument is incomplete and therefore distorted. The poor and the propertyless (productive propertyless) are often "victims of inexorable forces beyond their control, dispossessed of their property by the cruel machinations of the rich." "Their best available option" may be chosen but it may not necessarily be their free choice that they would have made in a different, and better situation. 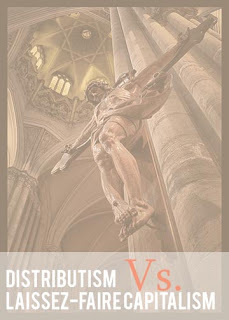 It must be emphasized that Distributism is not about equality of wealth. No one has said that everyone is to have two pair of shoes each....etc. Some will indeed accumulate more wealth than others, and there will always be the poor and the less healthy and the less skilled; but the Distributist vision, which I find rather more Catholic, is that people are part of a community's organization, they are not just "market values." Some may pay ridiculous sums to see "Wilt Chamberlain," and the market may glory in this, but I still find it stupid and illogical that such members of a community should be paid so much to play games. It is not that "the people" benefit so much that it justifies this sort of athletic income, but that advertising brings in the money to be able to pay this sort of irrational money. Athletes are paid ridiculous sums to play games while we will "euthanize" the old and the sick because they are an economic drag on society. This is a horrible indictment of our actual values. St. Thomas held that members should be remunerated in a community relative to their value within a community. That our teachers make almost nothing and bankers and game-players make oodles says worlds about our sense of community values. Community without a perspective of eternity is often illusory. Men were created by God to live in communities for more than "the making of a buck." Profit (Mammon) is not the end goal of human society. St. Thomas did not see profit as an evil but it had a relative place in the scheme of things. It was not the purpose of labor and craft. Laws should be in place, not to oblige people to keep their property (as the article seems to imply) but that the ownership of such should be easy enough for the average citizen to purchase. Thirty-year mortgages are not ownership. They are extortion. Why should it be expected that property values always go up and up and up over the centuries to justify this practice? The housing prices in Germany have been stagnant these last years. The presently "popped" housing "bubble" only proves the point. Some are poor because they do lack virtue, but being poor is not a sin. Most of the rich have become so by not always by the most honest means. Reparation can of course be made for avarice and greed, but this is not the way that society should be organized. To laud societal structural greed so long as one later donates libraries or museums, or "fight AIDS or malaria," is unjustifiable for a Catholic. Avarice is never spoken of by these types of writers and they seem to have forgotten that it is one of the Capital Sins, that is, a head and source of a multitude of other sins. What was once called "avarice" now seems to be "entrepreneurial ambition." Distributism has not asked that everyone be able to make "everything" for themselves. The Church has never held the family to even be able, as a perfect society, to provide for all its needs. This idea goes against not only laissez-faire Capitalism, but also those individualistic mountain isolationists "saving their families." The massive stores, or grande boîte or grande surface as they say in French, may not of themselves drive out their competition, but they do do worse. I recommend as an interesting read, Fast Food Nation. We can call the modern day standardization the world over (Europe looks just like American in most aspects -- including Disneyland) the "McDonald's effect." We live a cultural assembly line. The fact we no longer walk without shoes, thanks to Nike in China, only makes the unfree individuals happier dependents than before -- so the article seems to conclude. The Communists called this high wage effect a "labor aristocracy." It doesn't change the status of the worker, it only means that there is, for the moment, a worker who is paid less than himself in China. This works as long as Asia, and later Africa, have cheap work forces. Are markets and economic growth meant to be infinite? Or are they more like the housing market in actuality? The problem will come when we all make the same things, due, of course, to market demands. Then will all have shoes, or will our communality make us all barefoot? The Europeans are already being told that they will need to alter their lifestyles. The very fact that people are always burying distributism is evidence of the fact that it is not dead as a solution. Guilds (in the past) governed professions and their craftsmen, it did not own them l in one board of trustees. They were no more monopolies than the AMA is over its doctors. Distributism is more about a spirit and not a legal mechanism. It is certainly not in the line of simplistic arguments about "what works". Nor does it accept the economic order as organized in the last two centuries of the Revolution as an inevitability. It is simply not a fore-ordained and necessary work of God's Providence. Men organize their communities, not impersonal market concerns. Father Neuhaus states simply states that laissez-faire Capitalism is good because it makes the US rich, it also teaches good morals. Astounding! Even the fact of making us "rich" is dubious. Who among Americans really owns anything of their own other than some clothes and furniture pieces? Everything is on credit and in mortgages, at usurious rates, ballooning constantly. As Wal-Mart and the likes make it possible for the working classes to purchase "luxury items" it is simultaneously undercutting the very jobs of those workers they claim to be helping by moving the production of these items from them to Asia. They buy what others make while all the time their jobs evaporate. This may work for now but it does not forebode well for the next generations. Where does one expand once Asia is "developed"? Asian Singapore is not the desirable location it once was because it too, like New York or London, is now too expensive. It is little wonder that there is an economic crisis touching the world at the moment. It has all been built on an illusion of wealth, but is in fact a house of cards. Doesn't it seem obvious that these far-seeing industrialist corporate officers who organize only according to profit, "the bottom line," will only rest content once all in the world arrives at being economically uniform? The "West" costs too much so the jobs go to Asia. It's logical. The jobs will return to the "West" when we can pay them the same rates. And then where will the worker shop? The wealthy are becoming phenomenally wealthy, but I am not convinced that the working people in general are getting ahead, regardless of the new car in the garage. If the bulk of the population does not truly own, overall without debt, then its riches are an illusion. How many live on credit cards now? This is more than a simple question of their own personal greed, they are positively encouraged to live this way by the entire system as it is organized and propagandized by advertising and the media. The media and advertising are offspring of laissez-faire Capitalism, so we must not see them as "aberrations." In fact, the likes of John Calvin was the first to allow usury in money lending as morally acceptable (it had always existed but had been looked upon as morally abhorrent until then). So "unnecessary" are the constructs of the modern economy that it required riots and deaths to obtain a normal working day. This was not the result of generous factory owners but the restraints of violence to which the working classes had been reduced. It is not in our experience to think of the Baltimore transport workers rioting on strike to obtain a ten hour work day down from fourteen. What of child labor? These are same problems which are now occurring in the fledging economic tigers of Asia. When I was in Tibet it was not a hidden secret that much of the labor of "booming China" is from the labor camps. This does not stop the Capitalists from taking advantage of the relatively free labor. Profit is acceptable, but Our Lord once called it Mammon, and warned us of its seductiveness. Mammon is not wealth or money, it is profit or increase. The freewheeling market of the 1990's in Russia was obviously so impressive to the population that they seem to be moving back to paternalistic Communism. However, in the end, these two programs are philosophically the same, and equally materialistic -- both laissez-faire Capitalism and Communism. For this reason there was not a large difficulty for Gorbachev to move to California once he had finished his "reform" in Soviet Russia in the 1990's. The Berlin Wall no longer exists because we all live in the same materialistic political machines, not because Communism has been conquered. The Capitalist economic bosses had no problems in the 1930's working with the Bolsheviks. Profit is good, and everything should be subordinated to it. Profit invigorates us and motivates our work. If his had been a Calvinistic sect this would make it all the more understandable. The organization of a community belongs to men in each generation. The organization of a community is always an actuality, to contemptuously dismiss Chesterton and Belloc's ideas as "now chiefly of antiquarian interest" is to miss the entire point. The statement is also false. It is equivalent to dismissing "Rerum novarum" because it was written in 1891, and the robber barons of the so-called guilded era are no longer with us. The whole article ends in a wonderfully contemptuous manner, unworthy of a man of Father's intellectual capability. In the end, following the line of argument in the article, the doctrine of Christ's temporal kingship is a also a quaint antiquated idea because it is unrealizable, and there are no official papers about it reported in, say the Wall Street Journal, or better, Fox News. This was in fact an argument given by those who did deny this doctrine at the time of the Council and who later purged the hymn of Christ the King of those "irrelevant" verses. Distributism is a question of social justice and communal order, it is not an attempt to "steal from the rich and give to the poor". It is simply not "Redistributism". You will not find this in their writings and it caricatures their stance. The objection, however, is not new. The purpose and ambition of Socialism, whether in its Communist, Liberal, Social-Democrat, or Labor form, is to arrive at state economic ownership. All productive wealth is to be owned by the state/government. Marx saw this as the natural conclusion of unrestrained Capitalism. By its nature Capitalism streamlines and forms monopolies so as to maximize profits. Without any restraint or controls directing it toward the common good it would/will reduce the ownership of most things into the hands of a few. This is what makes, for example, that there are only six communication networks in the world which own the media. Six corporate boards controlling all main stream communications media! For Marx the original goal was to simply allow this natural progression and when all was in the hands of a few to take it from them by the force of the many, the famous "proletariat." Proletariat was the pejorative term to indicate those who own no productive property, their only "capital" is their labor to be hired out for hourly wages, and, of course, to produce "proles" -- future workers. The goal of the so-called "Distributists" is diametrically opposite: society must be organized so as to maximize the private ownership of productive property. It does not attempt to "distribute" wealth in the sense that everyone be "equal", which is of course silly. Its vision is to establish the family in a productive stability which allows for an easier practice of virtue, a thing not easily done when it is precariously dependent on another's fiat enabling them to live on credit. Almost no one in reality owns anything these days. The banks assume all and, for example, allow you to live in their house if you are good for thirty years and pay for the said house three times over its original price. This is little different from the serfs' dependence on housing, except that the lord in those days had legal obligations toward the serf. Where laissez-faire Capitalists and the Catholic Distributists disagree is over the issue of private ownership. The first sees it as an absolute, whereas the latter, even as the Fathers of the Church did, sees private property as carrying a social burden: it is not an absolute. Productive property is to be encouraged, not just "property;" even the Communists allowed you to own your clothes, house, and car. What is to be maximized in society is the ability for a man to work productively and not simply to be reduced to a wage-earner, a cog in some multi-national conglomerate, so huge that it makes "everything." This was the economic basis for the corporate guilds in the middle ages. Medieval corporatism was incarnated in its workmen's guilds. These institutions worked for the collective interest of the trade, the division of labor that it entailed, facilitated the relations between the employer and the employee, and oversaw the education/formation necessary for its craft. These professional associations among other things played an important role in the formation of both social and civic society. They incorporated the middle and lower orders of the civic population within a society organized according to ranks. It was a corporate vision of the temporal order, one organized for the life of its members and their families, not for the gaining of the greatest amount of profit for the greatest number. The sentences of St. Pius X quoted below are not relevant to the question at hand. No one sees fostering productive property as requiring the destruction of class distinctions, for the very fact that classes are distinct, contrary to the thought of Capitalists, by more than mere riches. St. Joseph in his poverty was still the royal descendant of David. "The Christian Doctrine of man is intrinsically bound up with the problem of property. There are three possible solutionsof the problem of property. One is to put all the eggs into a few baskets, which is Capitalism; the other is to make an omelet out of them so that nobody owns, which is Communism; the other is to distribute the eggs in as many baskets as possible, which is the solution of the Catholic Church." 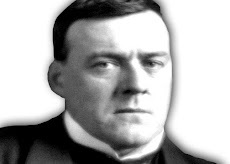 The actual situation of the West is so different from the ideas espoused by Chesterbelloc that their writing seems all a fantasy, but could it not be that it is because the world is so perverted after two centuries of non-stop revolutions, anti-God and anti-Christ? If there is such a clash of ideas could it not rather be that the true solution is indeed "at the root"? If this be not the true situation then the doctrine of Christ the King is just as much a fantasy. No one can possibly imagine Christ reigning in the Congressional Hall of Washington DC or in Paris in present actuality, or Eucharistic Processions in Berlin's Reichstag; but all this is due to centuries-old revolutionary perversion. So it is, in my opinion, with so-called Distributism; it is infinitely strange because our actual communities are so perverse. Christ is not King for much the same reason. While charity does not enter directly into the social structure, it is the only virtue by which we are saved, and is an infinitely better inspiration to our social relations than profit and market value. Catholics are saved by charity, and love goes far beyond the simple keeping of rules and profitability. Men are to be judged by their worth before God and not their monetary value. Anything less for social interaction is less than Christian: "As long as you did it to the least of these My brothers, you did it to Me." In order to have a Christian social order we must first have Christians. Our Divine Lord made it very clear that we are to serve Him in our brothers; this is a communal outlook which encompasses others. This is not a vision inspired by "enlightened self-interest". The "free market" does affect society, that much is certain, but it does so while also unleashing forces which in the long run smother a community. It is inhuman. Competition becomes an article of faith, strife a necessary fact of life, haste a virtue, and greed is lauded as the "entrepreneurial spirit." The modern destruction of family, honor, and virtue is due in large part to the frenetic mindset developed by such a world view. I thought the article by Dom Virgil Michel on the Bourgeois Mentality to be excellent. In the end, what is really to be argued is our outlook on community organization: it is the market/supply and demand which controls the community's life for laissez-faire Capitalists, for Catholics it is the faith/the Body of Christ and charity. 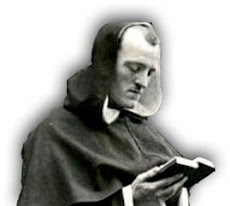 Distributism is not an economic system, as is Capitalism, this is true, and for this reason it is often attacked as "impracticable," but it is an attitude, developed by Catholics and fostered by Catholics (not individualistic Protestants), and it seems much more in line with the Catholic Faith.